Claudia Pennington is a digital marketing consultant and trainer. With more than a decade’s worth of experience in online marketing, she has become an expert in search engine optimization, Google Analytics, and Google Tag Manager through her work with small businesses, startups, and Fortune 500 companies. As CEO of Side Hustle, LLC, Claudia trains side hustlers, freelancers, and small business owners in the fundamentals of digital marketing and SEO. As we'll find out in today's podcast, Claudia is committed to the success of small businesses everywhere! An internship in college gave Claudia her start in digital marketing; and after graduation, she pursued career options that would further that knowledge. She eventually realized that she could have a bigger impact by starting her own business, teaching and training small business owners in digital marketing. Claudia had been doing training already, but in the offline world. One day, it struck her that she could record her trainings, then package and sell them to reach more people. Within just a couple of weeks she was creating online training courses! In order to continue her own education, Claudia took advantage of everything she could find by bloggers and podcasters who were sharing their experiences with creating training courses. One of the pitfalls of following others to gain knowledge is the feeling that there isn’t room for your business. Claudia found that she really needed to challenge herself not to feel that way. Rather than seeing herself as “just a digital marketer from Pennsylvania”, she instead began focusing on the value she could provide, and what made her different from the rest. One of the ways she saw her business as unique was that even though she was technically training people in digital marketing, that wasn’t her ultimate goal. Her ultimate goal was to teach and help those digital marketers to start and be successful in their own business. Today, instead of feeling like a small fish, Claudia realizes that the more people are doing what she is doing, in their own ways, then the more value is being added to the business of digital marketing overall. No matter who you are or what your personality may be, you can find someone that you identify with. When you do, that person/coach can move you to action. An email from one of Claudia’s students in her course was her first real proof that she was helping people. This student was letting her know that he had just signed on his first client…and he had only signed up for Claudia’s course 2 weeks prior to that! He confirmed to her that she was on the right path with what she was doing. She has since received many more emails from students telling of their success and thanking her. Those emails never fail to bring Claudia to tears, as she sees the real impact she is having on others. Another success story is of a couple who want to be location independent within a couple of years, and so are wanting to get a side business going now in order to build it out to full time as they begin to travel. They write to Claudia frequently, telling her how helpful her courses are to what they are trying to do. Claudia says that for her, success is having fulfilling work that makes an impact in the lives of others; providing value to others in order that they might pursue their own dreams. As important as money is, money can’t be your main goal, because money is temporary. 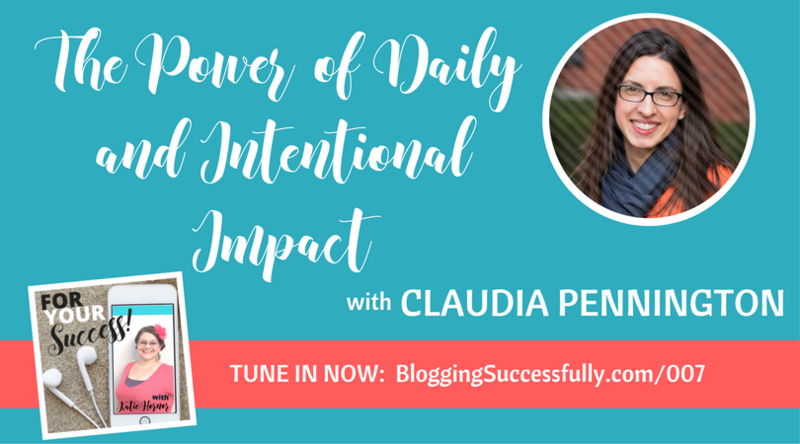 Impact is the ultimate goal for Claudia, and she sets impact goals weekly, monthly, and yearly. She actually doesn’t even set a revenue goal. 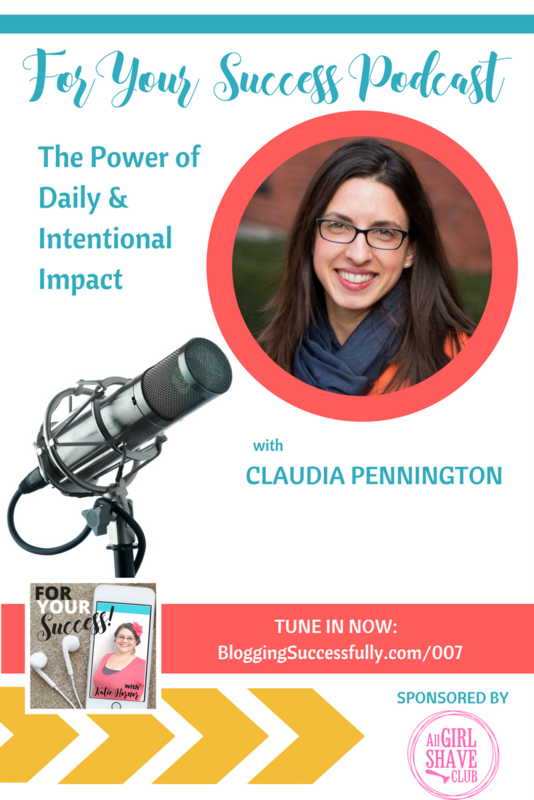 Be sure to listen in to the entire episode to hear details about Claudia’s impact goals. Motivation to pursue your dreams or to make a business successful can be hard to come by at times. How do you make yourself do the work when you feel like you aren’t getting anywhere? Claudia’s number one tip for motivation is to keep at the forefront of your mind the value you are providing to others. When she focuses on helping others achieve their goals and make their dreams come true, she is motivated to do even more. Her advice is to step back and look at the people you have already impacted, or those you could impact, and keep thinking about how you can help them and others like them. Claudia has offered a FREE course for the listeners of this podcast, so head on over to her site to sign up. 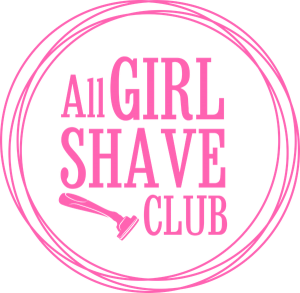 Combining premium razors with unique specialty shaving and body products, the All Girls Shave Club gives you a luxury shaving experience that leaves you feeling pampered. Free shipping and cancel at any time. 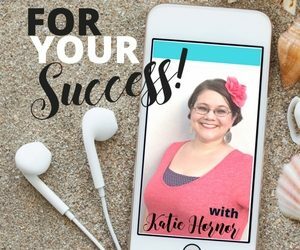 Podcast listeners get 10% off any subscription or product from now until June 30th, 2017, by using the code FORYOURSUCCESS at checkout.